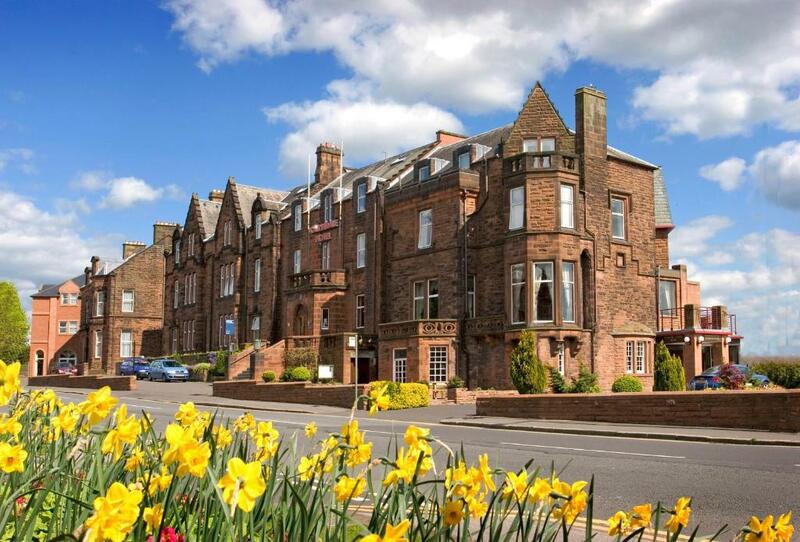 Lock in a great price for Cairndale Hotel And Leisure Club – rated 8.2 by recent guests! Breakfast very good, staff excellent, room comfortable. Staff were brilliant and very helpful throughout our stay. Breakfast was good, with a great selection of hot and cold options. The twin room was a fairly good size with a very good sized bathroom (my parents stayed in a double room and didn't get that much space). Swimming pool was also very good. Lovely breakfast. Staff very polite. And helpful. Great leisure facilities very relaxed staff . The welcome from Hannah was good and the breakfast was ample. Room was clean and provided the basics of what I needed. Gym and leisure facilities were good. Breakfast was good. I loved the unexpected room upgrade and the professionalism and welcoming attitude of all the staff from the hotel to the leisure club. Cairndale Hotel And Leisure Club This rating is a reflection of how the property compares to the industry standard when it comes to price, facilities and services available. It's based on a self-evaluation by the property. Use this rating to help choose your stay! Cairndale Hotel and Leisure Club is situated right in the very heart of Dumfries. DG One leisure club is less than a minute’s walk away, and Odeon cinema and the Theatre Royal can be reached in 5 minutes on foot. The hotel offers 91 en suite rooms and suites, free car parking, and free Wi-Fi wireless internet access. Its leisure facilities include a heated swimming pool, a sauna, steam room and an air-conditioned gym. Fine dining and an à la carte dinner menu is available in the restaurant every night, and all-day service is available until 22:00 in the Forum Cafe Bar. Cairndale also hosts regular weekend entertainment throughout the year, including a pianist in the Reivers Restaurant (on selected dates), as well as dinner dances and cabaret nights. 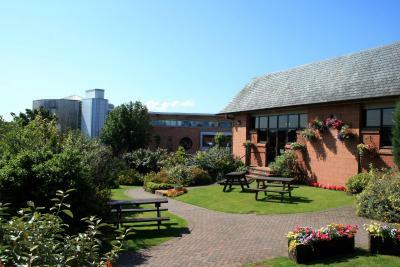 When would you like to stay at Cairndale Hotel And Leisure Club? Single rooms are located in the main hotel building. A private bathroom, free Wi-Fi and hospitality tray are included with this room. A private bathroom, free Wi-Fi and hospitality tray are included with this room. These rooms come with bathrobes and fresh fruit. Some have a four-poster bed. 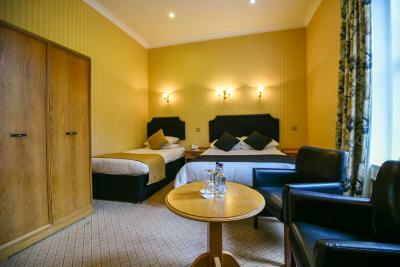 This classic double room has private bathrooms, free WiFi and use of the hotel's leisure facilities. 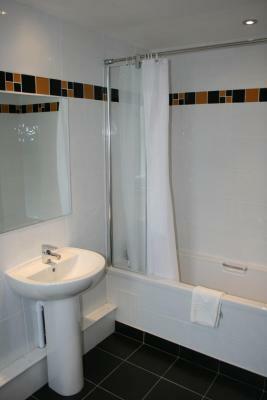 This classic twin room offers a private bathroom, free use of the hotel's leisure facilities and free WiFi. This suite features a seating area, electric kettle and bathrobe. House Rules Cairndale Hotel And Leisure Club takes special requests – add in the next step! Cairndale Hotel And Leisure Club accepts these cards and reserves the right to temporarily hold an amount prior to arrival. Children under 16 years old are unable to use recreational facilities after 7:30 pm. Please inform the hotel if bringing a dog, as charges are applicable. Small bar with limited selection of beers/lagers on tap. Room was on the second floor with a sloping room. Curtains were attached to point above the window which meant they didn't cover the angled window. Carpets need replaced. The property and the rooms are looking rather tired. Towels at poolside could be larger but you can use your own. Hotel room was dated, general decor dated. The decor is very dated. The room (24) was very small... right next door to the doors to the corridor and it was very noisy. The floor was very noisy from outside and above my room. Room service advertised was very limited. For the price I paid I would have got better facilities, room and food from the Premier Inn. Which is disappointing as I had high hopes. Room no 1 noise of running water all night.